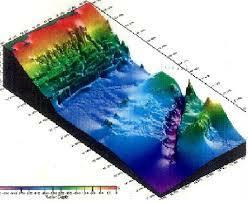 Geology is a field of science that deals with the Earth’s physical structure, composition, and history. Geology was one of the most popular and well-respected fields of Science in the Victorian era. Many perceived the scientific field of Victorian era Geology to be exciting since many of its scientific results and findings were mostly revealing new and controversial information to the general public. In 1835, the Victorian Government founded The Geological Survey of Great Britain, the largest professional scientific organization on Victorian Geology during the Victorian era. Similar to the other fields of science in this period, Victorian Era Geology’s ground breaking discoveries were not able to dodge and escape the religious contestations. It was believed that Victorian Geology was under a lot of denunciations as many of its propositions contradicted the Christian Bible and subsequently the Christian faith. It is worth noting that conflict between science and religion during Victorian age was not new. This debate was there during Elizabethan era as well. 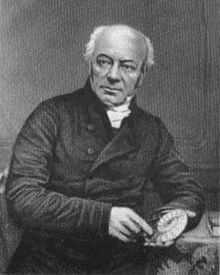 William Buckland (1784 – 1866) is an early Victorian geologist. In 1821, he identified a carnivorous dinosaur – Megalosaur – on the grounds of a found jawbone remains and other fossils in Stonesfield. Further, Buckland wrote Reliquae Diluvianae in 1923 that argued the legitimacy of the Great Flood that covered the whole Earth. This reconciliation attempt – between science and religion – made Geology look proper and reputable in England as it stood to be a religiously conservative country. Charles Lyell (1797 – 1875) became interested in Science, particularly in Geology, right after his inability to pursue his initial dream of becoming a barrister due to his poor eyesight. He soon became a member of the Geology Society. In the 1920s, Lyell actively engaged in debates reconciling the biblical accounts of “The Great Flood” and the recent geological findings and discoveries. Soon, Lyell together with his fellow geologists became outright oppositions against the diluvial – advocates of the Great Flood – position. Soon, he became famous with his geological magnum opus of The Principles of Geology (1933), which was one of the initial attempts to explain the historical changes in the Earth physical structure and composition. Charles Lyell was one of the main influences of the infamous Charles Darwin. 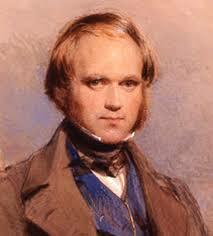 Charles Darwin (1809 – 1882) was a natural historian and geologist during the Victorian era. In 1859, Darwin published his scientific research entitled The Origin of Species that suggested that man evolved from a lower species of an animal instead of being created by a divine god. This idea devastated many Victorians as it openly contradicted with their Christian ideology and belief in creationism. It was then feared that this might ultimately lead to the Victorian crisis of faith. Darwin remained to be one of the responsible key people with the ongoing debate between science and religion up to this date. The Victorian era Geology inevitably elicited conflict between Science and Religion during the Victorian age. Truly, a period of great transitions!